This morning I stumbled across a quote from A.W. Tozier (a famous theologian). It said: "We cannot pray in love and live in hate and still think we are worshipping God." Note that I am writing under “we.” I am just as guilty of this. Despite having all of the psychological tools at my fingertips, I still struggle with frustration, road rage, resentment, and anger. Not all at once. Often, I think I’m doing pretty good. I view my job, my spouse, my children, my family and my church positively. But it’s amazing how subtly resentment creeps up on me. How I’m doing okay until I’m merging on the freeway or my children start bickering again (hello summer break!). When I was younger, I would say that those feelings weren’t a huge deal. I could still paste a smile on and “fake it.” However, the Bible is clear that God views anger just as negatively as other, more “obvious” sins. 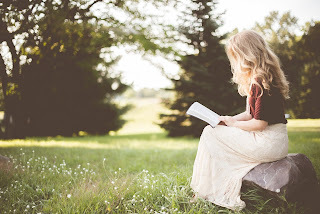 We often quote James 1:19 (NIV): “My dear brothers and sisters, take note of this: Everyone should be quick to listen, slow to speak and slow to become angry,” but skip James 1:20 which reminds us that “because human anger does not produce the righteousness that God desires.” We can justify anger all we want, but ultimately, it goes against the righteousness that God wants from us. And for those who say, “Well, I don’t struggle with anger,” remember that anger takes on many forms. Paul told the Ephesians to “Get rid of all bitterness, rage and anger, brawling and slander, along with every form of malice.” (Ephesians 4:31 NIV). Bitterness, resentment, rage (even road rage!) are just as dangerous as full-on anger and aggression. Jesus didn’t want people to go through the motions in the temple where they offered their sacrifice for outward appearances, but secretly seethed or burned with resentment on the inside. 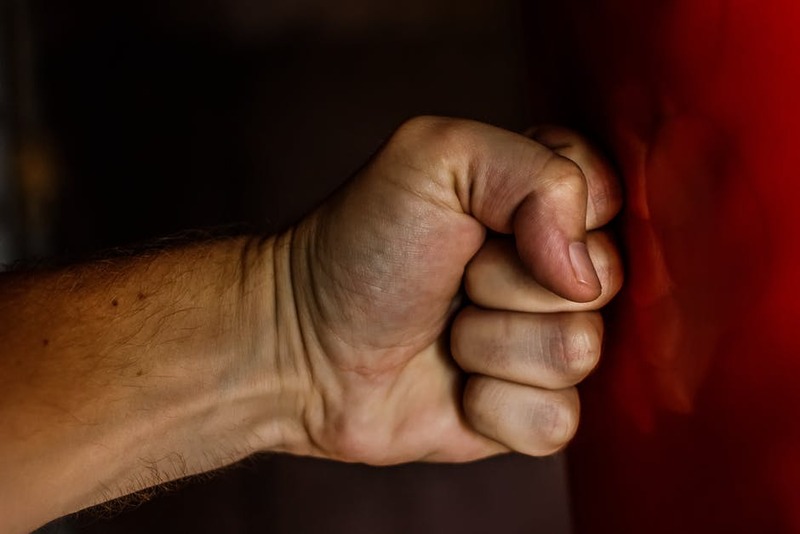 So how do we get rid of anger? How do we let go of the bitterness and resentment towards others that we struggle with throughout the week, so our hearts are pure when we approach God? Pray for them. As part of the Beatitudes, Jesus said that we must “Bless those who curse you. Pray for those who hurt you.” (Luke 6:28 NLT). When we pray for others, it becomes easier to step out of that cycle of justification and rationalization we fall into. “But you don’t know how much he/she hurt me,” “He’s just so awful to me,” “My boss purposely makes my life harder.” When we fall on our knees and focus on the fact that we are all human, and admit that we all makes mistakes, it makes it easier to move from anger to acceptance. Sometimes it is humbling to realize that someone right now could be gritting their teeth and praying about something you did to them! We have to come to a place where we believe that God is in charge of the situation and realize that the anger we hold onto does not resolve the problem. Seething about your spouse while doing the dishes doesn’t improve the situation and all that bitterness does is slowly devour you! Create some distance. I have had some situations in my life where no matter how much I tried, I couldn’t let go of my anger. I had a job where it literally got to the point where my heart rate went up the moment I walked in the door and I could feel my resentment simmering the entire eight-hour shift. I realized that despite praying, using thought stopping and trying to reframe my frustration into something more positive, I just. couldn’t. stop. stewing. So, I found another job, one where my needs were being met and I could function at full capacity. 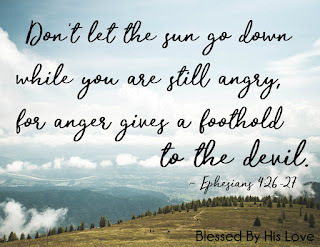 It is easy to minimize the impact of anger in our lives, especially when it is the low-level frustration and resentment, but Ephesians 4:26-27 is clear: “And “don’t sin by letting anger control you.” Don’t let the sun go down while you are still angry, for anger gives a foothold to the devil.” I used to dismiss this idea, did we really have to let go of anger immediately? But I’ve learned that the answer is yes. Being angry at your spouse/children/boss/family leaves you vulnerable to the Enemy. Hebrews 12:15b tells us to: “Watch out that no poisonous root of bitterness grows up to trouble you, corrupting many” (NLT). Anger often becomes resentment, which turns into contempt, which turns into bitterness. So when Satan whispers, “You’re better off without your spouse/church/job/family,” it is easier to believe him. Hebrews warns us that bitterness can corrupt many, and it's often true. Because we exist in a community, the choices you make don't just impact you or your marriage, they impact those around you as well. And it's amazing how often those feelings started with a simple tendril of resentment or frustration. 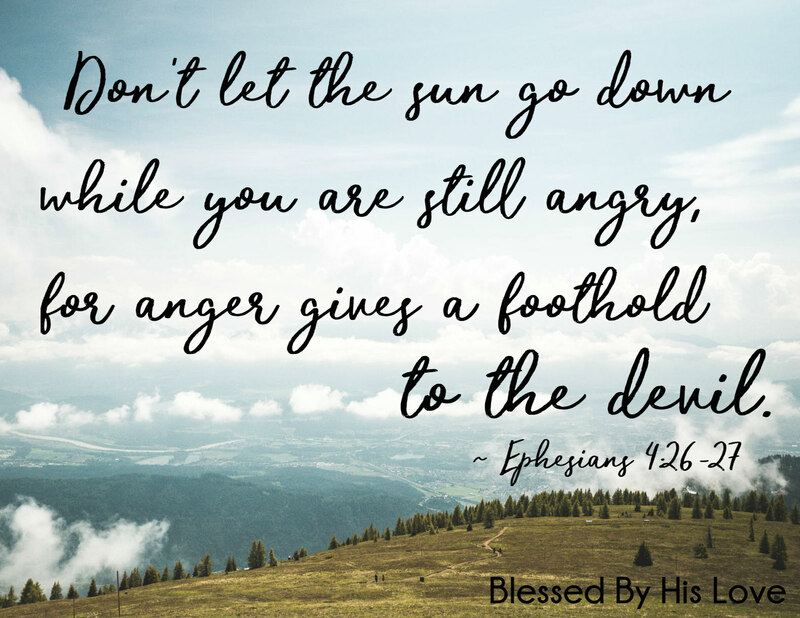 Do not let anger give Satan a foothold. Use these techniques to let go of that frustration and bitterness. Find a friend to hold you accountable. Pray fervently for those who wronged you. Create some distance and use that space to seek counseling and learn to be as gracious with others as Christ is with you. As Christians, we must be authentic. 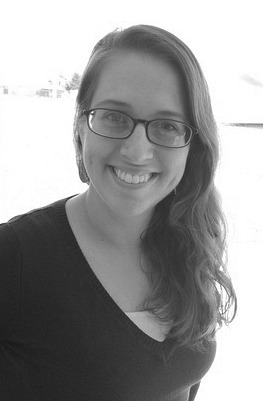 If you look content and joyful on the outside, make sure that your inner self is too! These are great tips! And as you say, with our lives being as chaotic as they are these days, it isn't surprising for us to allow anger hang around longer than it should. Just got to reading this and there are indeed some great points as usual. Well done! These are great practical steps to take to help with anger. Thank you for sharing! I’m so glad you’re writing about this! I think anger is more prevalent than most of us realize. I know I started struggling with anger after my second child was born, and it has been a hard journey to get out from under it. God has helped me a ton, though! Thank you for sharing these tips and I loved how you made sure to say to pray for those we become angry with or hurt us. This is very important because we as humans need to do this in part of forgiving others, and releasing our anger or hurt back to God.So thank you for sharing this encouragement.